StoxPlus signed an agreement to provide FiinPro Platform for Shinhan Securities Vietnam, which belongs to Shinhan Financial Group, one of leading financial group in Korea, on May 11, 2016. 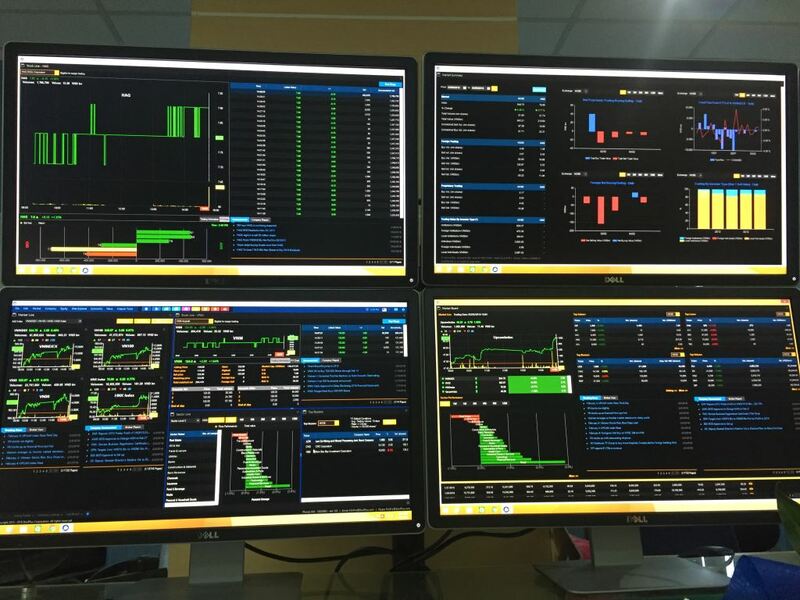 Direct users of FiinPro Platform are at Proprietary Traders, Consultants, Broker and Risk Management Officers of Shinhan Vietnam. By subscribing FiinPro, analysts and brokerage consultants of Shinhan Vietnam can use the platform to access to the financial database of Vietnam including market/trading data (basic and level 2), corporate database of not only listed companies but more than 2000 public companies with an aggregated revenue of approximately 70% of Vietnam’s GDP, industry data including monetary market and macro data. Users can also use many basic and advanced functions and tools which are highly customized for Vietnam market jointly developed by StoxPlus and QUICK Corp. (part of Nikkei Inc.). Besides Shinhan, FiinPro has been subscribed by a number of local and international financial institutions including: (i) securities companies (Ho Chi Minh City Securities Corporation (HSC), KIS Vietnam Securities Corporation, Saigon Securities Incorporation, Agribank Securities Joint Stock Company, VNDIRECT Securities Corporation, Viet Dragon Securities Corporation (VDSC), Japan Securities Incorporated (JSI), Vietnam Bank for Industry and Trade Securities Joint Stock Company, Saigon-Hanoi Securities Joint Stock Company, etc. ); (ii) investment funds and asset management companies (BaoViet Fund Management Company Limited, FIDES Investment Management Company Limited, Techcom Capital Company Limited, PVI Asset Management, State Capital Investment Corporation (SCIC), etc. ); (iii) Insurance firms such as BIDV Insurance Corporation; and (iv) foreign corporations investing in Vietnam such as CJ Group (Korea) and Kusto Group. FiinPro Platform is the first in-depth financial database platform for Vietnam, jointly developed by StoxPlus and QUICK Corp (part of Nikkei Inc.). It covers market/trading data including level II data, corporate data not only listed companies but also more than 2,000 public companies (with total revenue accounting for nearly 70% of Vietnam's GDP), industry data and macro data. FiinPro also provides basic and advanced analytic tools such as Stocks Analysis, Stocks Screening, Data Export in Excel and many other tools to support research analysts, portfolio managers, investment bankers, financial consultants and other financial professionals. StoxPlus, an associate company of Nikkei Inc. and Quick Corp., is proud to be a leading financial and business information corporation in Vietnam. We provide the most comprehensive ready-to-use financial information platform, business information portal, standard and customizable research reports and value added services via various devices such as PCs, websites and mobile devices to help customers analyze and make informed decisions. Our customer base comprises of local and financial and international investment institutions such as securities firms, investment funds, commercial banks and insurance companies. It also includes corporate executives, import-export traders, NGOs and individual investors, both domestic and overseas.